Well-used and well-managed community halls are vital local assets. The range of activities that these halls support is astonishingly varied, bringing in important sources of local revenue and contributing to community resilience and the maintenance of a vibrant sense of place. Community First Oxfordshire employs a Community Halls Adviser, who provides advice and support to almost 300 community hall and community centre committees across Oxfordshire. CFO offers advice on a huge range of governance, general operations, refurbishment, insurance and energy efficiency topics. In addition, our grant funding advice continues to be crucial to a hall committee’s ability to meet the needs of their users. In 2014, CFO launched an online Community Halls Directory, which enables clients to easily locate and hire community buildings. This highly visible (and free!) marketing initiative continues to generate much-needed new income for halls. Village Halls week has been created by our umbrella organisation Action with Communities in Rural England (ACRE) as a way to celebrate your local village hall and to increase the profile of village halls in general by spreading the news about what goes on in them. It will be great if you could let me know what events or activities you have coming up, so that I can highlight them on our website and through social media. You can also use the #VillageHallsWeek on through your own social media if you are keen! It really is a great opportunity to bring to attention the fantastic role the village hall plays in the community and how diverse some of the activities on offer are. Please remember that If your hall is on Twitter please follow @VillageHalls_Wk during the week. Also the hashtag #VillageHallsWeek will be used on Facebook and Instagram for all posts during the week in order to link activities across the counties of England. Do you know what Geocaching is? Did you know that there is a village hall series of Geocaches? And that for the second year running the series will be celebrating Village Halls Week. A profile badge will be offered for finding a cache and also for hosting or attending a Village hall Week Event. 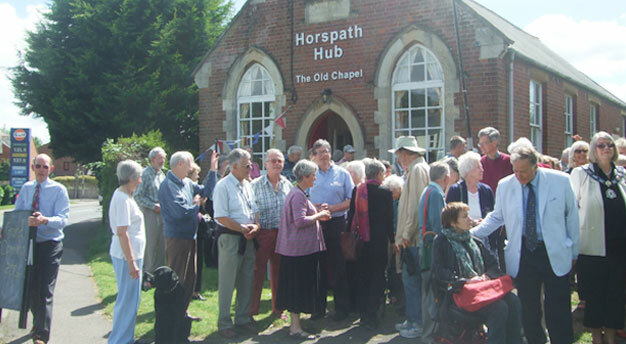 Community First Oxfordshire produces a regular community halls newsletter. The newsletter has useful advice and information for anyone managing a village or community hall. Community First Oxfordshire compiles a Funding Information Sheet. This gives an ‘at a glance’ run-down of currently available grants and funding opportunities which may be able to assist your community building refurbishment and improvement project. For more information contact Tessa Hall, our Community Halls Adviser. Copies of ACRE (Action with Communities in Rural England) Information Sheets are available at a cost of £3.00 each + postage. If your organisation is an affiliated member of Community First Oxfordshire these can be emailed free of charge.